Today the Disney brand can be found just about anywhere. Walt Disney World, Disney Cruise lines, the Disney store, Disney channel and so on. But for me growing up, there was just one Disney--Disneyland. It was the original dream and vision of Walt Disney himself. It’s the place where I feel like I’ve stepped back in time. I can still picture going to Disneyland as a little girl with my grandparents and using an E-tickets to ride on some of our favorites rides. I can pictures us getting ready to ride the Skyride from Fantasyland to Tomorrowland, riding right through the mighty Matterhorn. Today, I rarely step into the boats on It’s A Small World without thinking of my grandmother. She loved that ride. Disneyland brings additional memories of going with my family. Growing up we were lucky and spent many vacations at Disneyland. I can almost hear the laughs and excited chatter right now. The memories are endless. I can remember a time when cell phones didn’t exists and my parents didn’t have to worry about letting their 10 year old little girl go off with her cousin who was only 9. My parents would give me a time and at the appointed time, I would have to be back on the bridge of Sleeping Beauties Castle to check in. My mom grew up in Southern California. While she didn’t go on Opening day to DIsneyland, she went within the first couple weeks of the park opening. My parents even honeymooned at Disneyland in 1961. So you can see the Disney blood runs thick in my family. But in February of 2000, my mom unexpectedly passed away. Since then, I have never made a trip to Disneyland without riding her favorite ride, Storybook Land. Each time I step down into those boats it’s an opportunity for me to tell my own kids another memory of my mom, their grandma. As Disneyland has grown and changed over the years, the one thing that hasn’t changed for me is the feeling of being a kid again. The worries and stress of life are left at the gate and all I picture is creating for my kids the same joy, excitement and happiness that my grandparents and parents created for me. 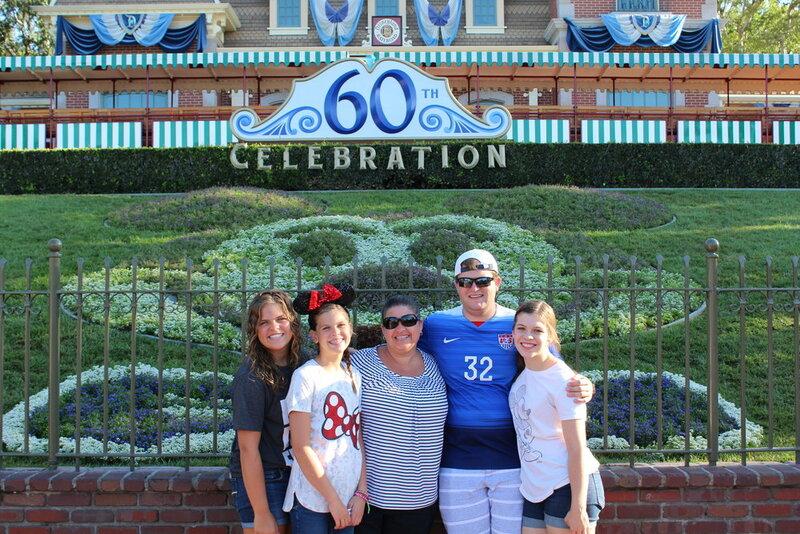 They instilled a love of Disneyland that has lasted a lifetime and is now being handed down to the next generation. With each new change at Disneyland and phase of life I go through, the memories and feelings of Disney remain the same. While I love going to Disney World or relaxing on a Disney Cruise, there is something magical for me about Disneyland. From my earliest memories, Disneyland has and continues to hold a special place in my heart. I hope that at some point in everyone’s life they get the chance to experience the Disneyland that I love.